Can you believe it? You're reading the last Tacoma Newsletter that will be sent out before the game's launch! Wait-- does that mean... that we've announced an official release date?! Yes, it does! Perhaps you saw the teaser up on the Microsoft stage at the E Three Game Gathering last week, perhaps you've already watched the full trailer on ta.co.ma-- or maybe you're just hearing about it for the first time now! But our official release date is... included in our official launch trailer below! That's right: Tacoma will be available on Xbox One and PC on August 2, 2017! And you can preorder or wishlist it now on Steam, GOG, and Xbox! It's 10% off on Steam and GOG til launch, if that's of interest to ya! To those of you just receiving your first Tacoma Newsletter now, and to those of you who have been following us since the day of our original announcement in 2014, thank you so much for supporting what we do. 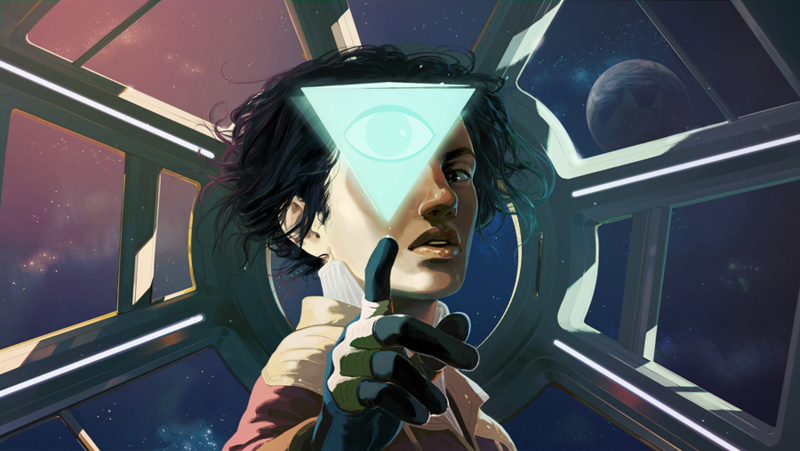 We can't wait for you to play Tacoma when it's released on August 2. By the way, did you notice the fantastic music in the trailer? It's a track called Find Me by Szjerdene, an artist whose work we fell in love with, and whose futuristic sound we're thrilled to have as part of bringing Tacoma to the world. Check out more of Szjerdene's music on Spotify! And check out more of Rebecca's amazing art at her web site! We went to there! Karla and I were at the Galen Center to see Tacoma's teaser trailer debut at the big Microsoft stage extravaganza, then we helped show the playable demo to press & fans at Microsoft's playable showcase on Monday. Then on Tuesday, Steve did some interviews and stuff! Highlights included Steve talking to Danika from Waypoint about Tacoma, Gone Home, and the TLC Cinematic Universe (see above, or click through here!) and then closing out the night by appearing along with folks from Sea of Thieves, Forza, Crackdown 3, and the ID@Xbox team to roast Jeff Gerstmann about his alleged PUBG skills on Giant Bomb at Nite and Talk-oma about all sorts of E3 shenanigans. Check it out! Oh, and by the way, would you want a full 30-minute audio version of that Waypoint interview? Well you're in luck, here it is! Thanks for checking out what we got up to at.. wow.. the last E3 we'll be showing Tacoma at before its launch! So many "lasts" in this email newsletter... I'm getting a little emotional, let's move on, I have something in my eye! Truth be told, there's not a whole lot more to share in this particular newsletter! I mean, I guess announcing that we have an official release date, and that it's hardly more than a month away, could be considered "a lot" to share-- and it is! But we're really just here, working away at finishing up everything to get Tacoma out on PC & Xbox One in the best shape we can. I'd like to just take a minute to say how grateful I am for all the amazing people who have worked on the game-- the crew of designers, programmers, and artists here at the studio who have built the thing we're all working toward together, as well as all the talented folks involved with organizing & recording the voice performances in the game-- and of course our incredibly talented cast of actors who brought the characters in Tacoma to life! This is the first project we've worked on with the folks who play the human crew of Tacoma-- Greg Chun, Eva La Dare, Dawnn Lewis, Natasha Loring, Abigail Marlowe, and TJ Ramini-- and the second project we've worked on with Carl Lumbly, who plays ODIN, and Sarah Grayson, who plays the player character, Amy. Carl played Charles Milton Porter in BioShock 2: Minerva's Den, which Karla and I led together, and Sarah was Sam in Gone Home. It's been such an honor to work with these talented performers, and bringing together Porter from Minerva's Den with Sam from Gone Home has been particularly special for us. And I'm going to take the opportunity to say how much I appreciate my studio co-founder and story partner Karla, without whom there would be no Fullbright. We have one of the most positive & supportive studio cultures I've encountered in this industry, which is something I appreciate more every day, and that's due in no small part to Karla's presence and influence-- as, of course, is the quality of the things we make together. I've said many times that I wouldn't want to play the games I'd be making if I didn't work with Karla, and damn if it ain't true. Maybe long thank-yous are premature, or maybe it just means we're really getting to the end of this thing... but suffice to say, I couldn't be more thankful for the folks who have made Tacoma possible... and I can't wait for you all to get to play the product of their hard work. OK, that's it, I need to move on, I've got something in my eye!! Nina, when she's not doing design work on Tacoma, keeps real busy releasing her own critically-acclaimed indie games-- and her most recent title is now available on Steam and DRM-Free on itch and Humble! Kimmy is a story about friendship, babysitting, and the lives of city kids in 1960s Massachusetts. 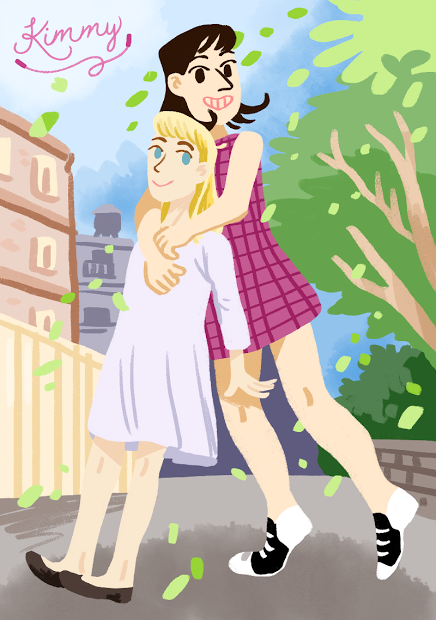 As a teen named Dana, you'll play street games, get to know the neighborhood, and learn about Kimmy, the young girl who mysteriously appears in your life one day. Find out more about Kimmy on Nina's web site! 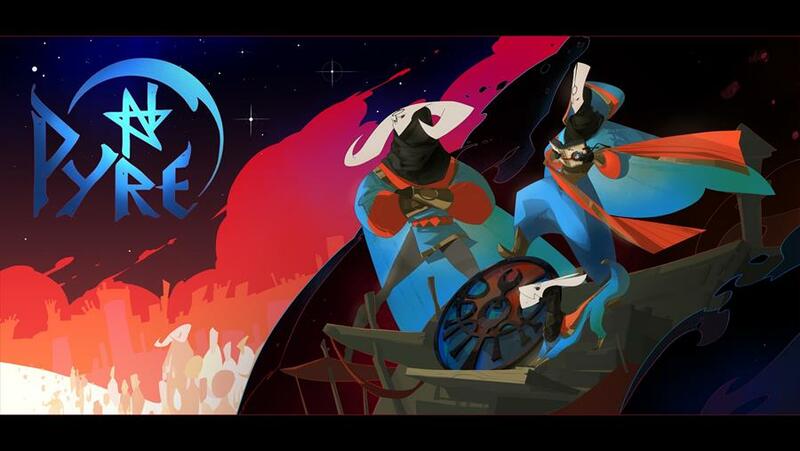 We're huge fans of Supergiant's work on their prior games, Bastion and Transistor, and we find them really inspiring as a company-- and so we're incredibly excited for their next game, Pyre! And it comes out just a week before Tacoma, if you can believe it! Pyre is an action-RPG about a group of wanderers trapped in an endless purgatory-- and you, as a castaway, wield the most exotic power in the land: the ability to read. Cryptic texts lead you to follow the stars, facing off against enemy teams who are also battling for the right to escape to freedom. Pyre isn't available right now-- but it will be out between now and when you're playing Tacoma, so preorder it on Steam or PS4 and get ready to dig into another gorgeous and unique adventure from Supergiant when it's released on July 25. Find out more about Pyre on Supergiant's web site! From Maniac Mansion to Monkey Island and Putt-Putt, Ron Gilbert's work has been a big influence on folks here at Fullbright. I know that for me personally, Maniac Mansion on the NES was a huge turning point in my understanding of what games were and could be. It was totally different from anything I'd played up to that point, and was my bridge to the pantheon of classic point-and-click adventures on the PC (and to PC gaming in general.) Well, classic Ron Gilbert point-and-click adventures are back... in Thimbleweed Park form! If you're someone who loves challenging puzzles in a strange and farcical world, Thimbleweed Park is a substantial new entry into that tradition of games, from one of its most important originators. Jokes, jibes, FBI agents and foul-mouthed clowns; Thimbleweed Park's got it all! Find out more about Thimbleweed Park on the Thimbleweed Park web site! Hmm, what else, what else... I couldn't be forgetting something, could I...? Oh, right! Here it is: SPACE IS WEIRD, Volume 10! The Luna 2 was a historically-important spacecraft in a number of ways. Launched by the Soviet Union in 1959, it was the first spacecraft to reach the Moon, and the first man-made object of any kind of land on another celestial body. It was an important test of technology, navigation, and orbital science, measuring radiation levels around the Moon, and providing another demonstration of the USSR's ability to beat the USA to important milestones in the early years of the Space Race. But crashing a probe into the moon's surface wasn't quite enough; what if a large radius all around the landing site were covered in dozens of stainless steel pennants, each engraved with the USSR Coat of Arms? 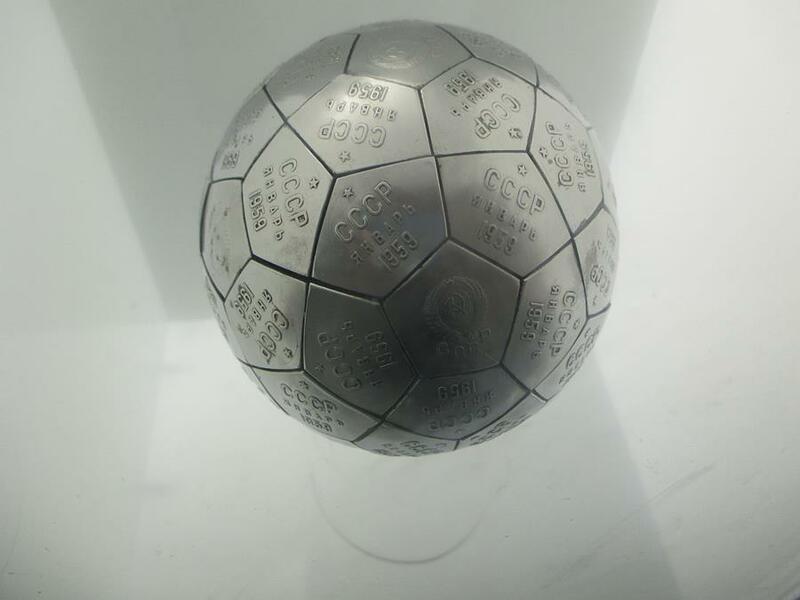 To that end, the Luna 2 included two metal spheres, each packed with an explosive charge, the surface of each sphere split up into pentagonal Soviet pennants. These were designed to detonate on impact with the lunar surface, scattering evidence of the USSR's accomplishment in every direction. Unfortunately this part of the plan didn't quite go over as intended, and the steel spheres were most likely vaporized on impact. Ironically, the only known replicas of these attempted CCCP moon bombs are housed in the United States: Soviet Premier Nikita Kruschev gave on to Dwight D. Eisenhower in 1959 as a gift, and it remains in the Eisenhower Presidential Library, while another replica of the sphere resides in the Kansas Cosmosphere museum in Hutchinson, Kansas. OK folks, that'll do it for Tacoma Newsletter 11...! Next time I send one of these your way, our sweet precious baby (the video game) will be out in the wild world. We're all very much looking forward to it! In the meantime, follow our Twitter, Facebook, and Company blog for updates between now and August 2nd... and tell a friend to check out the game on Steam and wishlist or preorder it if it looks like it might be their thing! OK, folks. We'll be seeing you.... soon!